Kansas City native Ub Iwerks created Mickey Mouse and was instrumental in the early success of The Walt Disney Company. Ub Iwerks (March 24, 1901 – July 7, 1971) was an Academy Award winning animator best known for creating Mickey Mouse. Iwerks was born in Kansas City, Missouri. As a teenager Iwerks began working as a commercial artist at the Pesmen-Rubin Art Studio, where he later met Walt Disney. The two young men became fast friends. 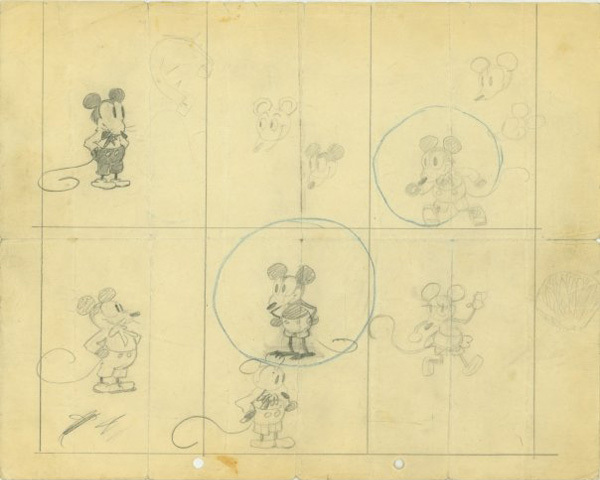 When Disney went into animation at the Kansas City Film Ad Company, Iwerks soon followed. When Disney later moved to California and formed his own animation studio, he asked Iwerks to join him. In California, Iwerks animated a series of Oswald the Lucky Rabbit cartoons, but Disney lost the rights to Oswald in 1928. 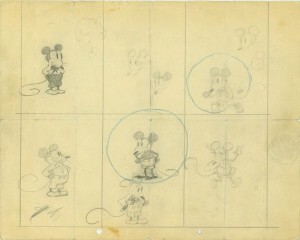 As the company looked for a new feature, Iwerks created the character of Mickey Mouse and “The House of Mouse” was born. Iwerks left the Disney studios in 1930, spending the decade running his own animation company and directing Looney Tunes shorts for Leon Schlesinger Productions. He returned to Disney in 1940. Much of the rest of his career was spent developing new special visual effects. 1960 – Academy Awards; Won a Technical Achievement Award for the design of an improved optical printer for special effects and matte shots. 1964 – Academy Awards; Nominated for an Oscar for Best Effects, Special Visual Effects for Alfred Hitchcock’s The Birds. 1965 – Academy Awards; Won an Academy Award of Merit for the conception and perfection of techniques for Color Traveling Matte Composite Cinematography. 1978 – Annie Awards; Won the Winsor McCay Award in recognition of for career contributions to the art of animation. 1989 –Disney Legends; Inducted along with the “nine old men” for his extraordinary contribution to The Walt Disney Company.